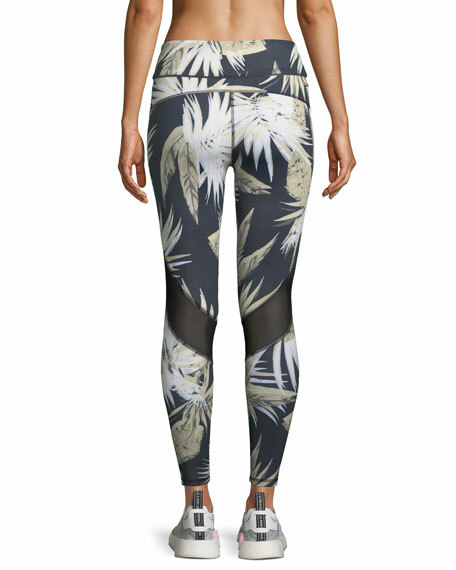 ALALA signature "Captain" compression tights/leggings in palm-frond graphic print. Quick-drying fabric with anti-chafe flat seams for comfort. Front key pocket and back zip pocket at waist. Banded waist with powermesh for control. Mesh panels across back of knees. Made in Canada of US material. About ALALA: Taken from the name of the Greek goddess, which signifies a battle cry or call to arms, ALALA represents what modern women aspire to be and the belief that women can do it all and have it all. 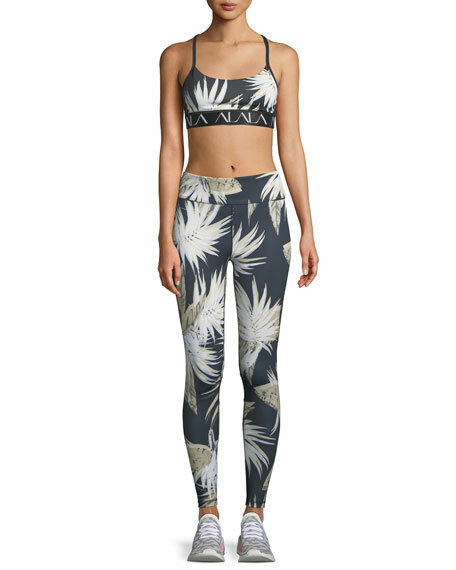 The luxury activewear brand combines a sophisticated attitude with modern function. The pieces are for more than just the gym, but for anyone living an active lifestyle. 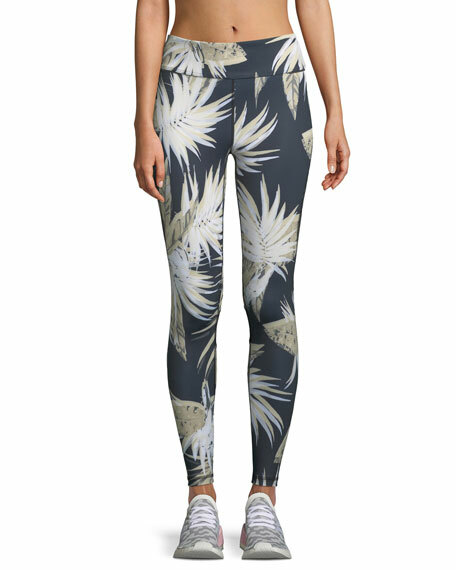 For in-store inquiries, use sku #2685122.